Dragonflies as pest control in your garden. Dragonflies are a useful insect for organic pest control in the garden as both larvae and adult dragonflies are voracious predators other insects. 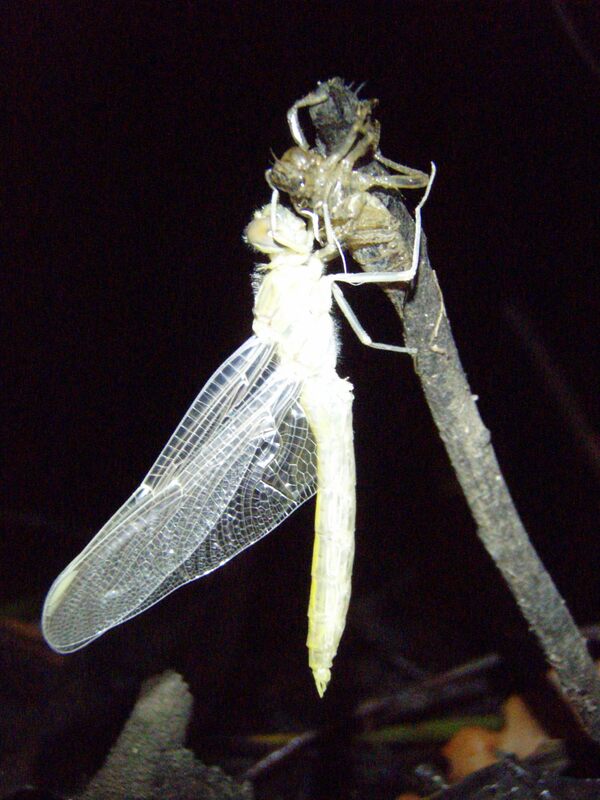 An adult dragonfly will pluck white cabbage butterflies and other flying insects out of the air and will lay its eggs in any established water body. A dragonfly larvae spend life under the water surface predating on mosquito wrigglers and other aquatic organisms until the next season when it will crawl out of the water and shed its adolescent form, taking to the air. To attract dragonflies to your garden, establishing a pond is the only way to go (considering half of its life cycle is spent underwater). The pond should have a fair number of various aquatic organisms for the larvae to feed on, and any healthy pond will. If you’re only just establishing a pond it can take quite some time for a range of aquatic insects to populate the water by themselves. You can speed this process up by spiking your pond water with water from an already established and aged pond. Of course having an abundance of aquatic vegetation will only help as most aquatic insects require plants for food and shelter.